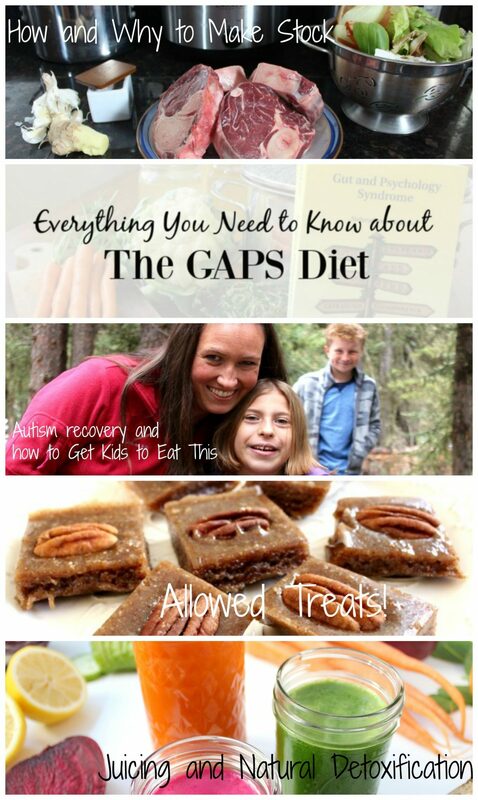 The GAPS Diet: Everything You Need to Know - for Autism, Food Allergies, Eczema, Depression, Anxiety.. GAPS stands for Gut and Psychology Syndrome. 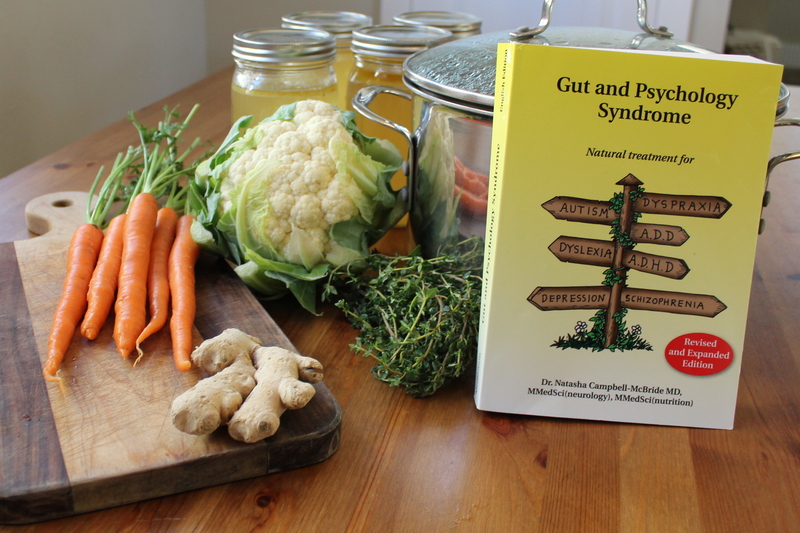 The GAPS book spends lots of time explaining the gut-brain connection and how having a properly working digestive system is imperative for having good brain function and preventing/healing mental illnesses. 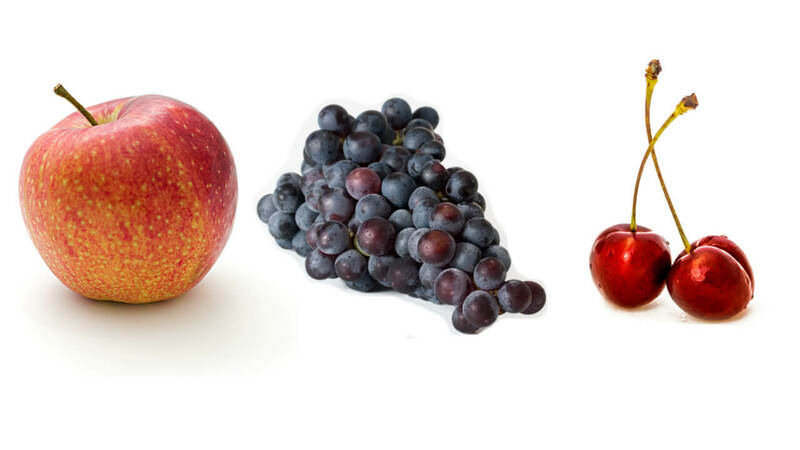 The GAPS diet is the specific dietary protocol that rebuilds the gut lining. 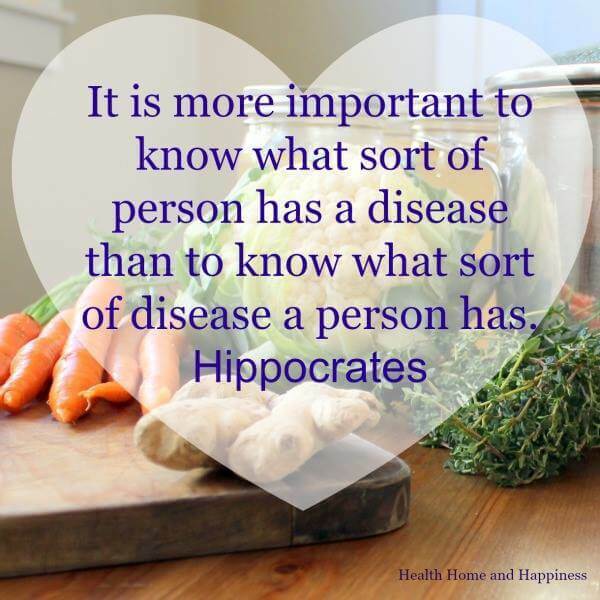 The GAPS Diet has been used by thousands of families to stop the cycle of chronic illness that originates in the gut. These chronic illnesses range from eczema and other skin issues to anxiety to autism to food allergies. The GAPS diet is based on the Specific Carbohydrate Diet (SCD) which was founded by Sidney Haas, MD in the 1940s as treatment for digestive diseases (IBS, colitis, celiac, etc), and was later popularized by Elaine Gottschall in the 1980s. Gottshall used SCD to help her child with digestive problems including failure to thrive and watched her child’s neurological problems clear up as the digestive problems went away. The GAPS diet community, like the mothers mentioned above, is full of stories of desperate and persistent parents who find healing for their children through food. The Specific Carbohydrate Diet quite literally only allows specific carbohydrates to be eaten. The protocol is very strict. The only carbohydrates allowed in the diet are mono and disaccharides, which are digested up high in the digestive system. 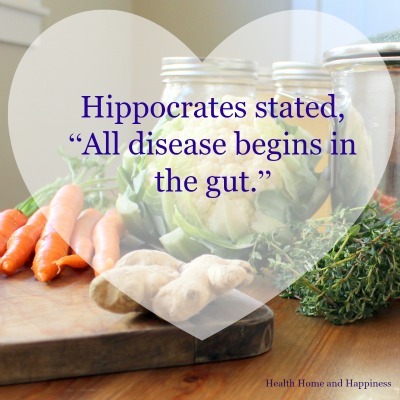 This allows the body to starve out and then repopulate the lower part of the gut, where most of digestion takes place and where some brain tissue is. 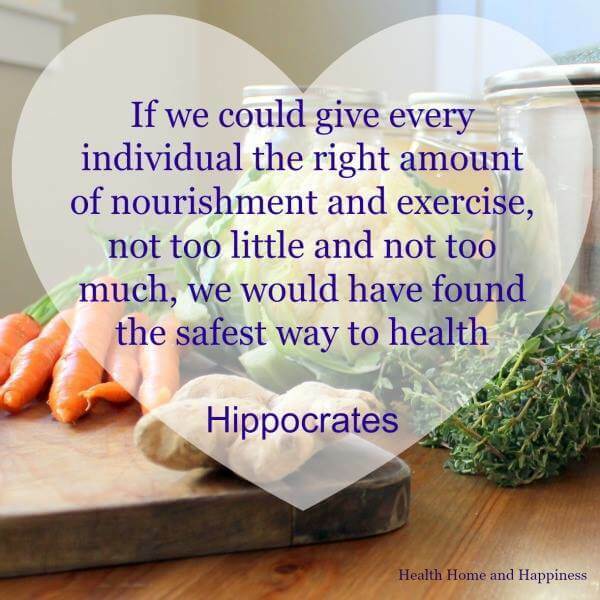 In the 2000s Natasha Campbell-McBride, Neurosurgeon, further added healing foods to SCD, creating the GAPS diet protocol. My e-book What Can I Eat Now? walks you through the first 30 days of the GAPS diet, that are the most intense parts of this protocol. The GAPS protocol has multiple parts that all work together to pull the body out of ‘crisis mode’ and provide the nutrients it needs to repair itself. It eliminates common food allergies, and gives the digestive system a break, all while also providing nutrients needed for the body to make its own repairs. Daily consuming of homemade meat stock to provide easily digested amino acids and collagen needed to repair the gut lining. 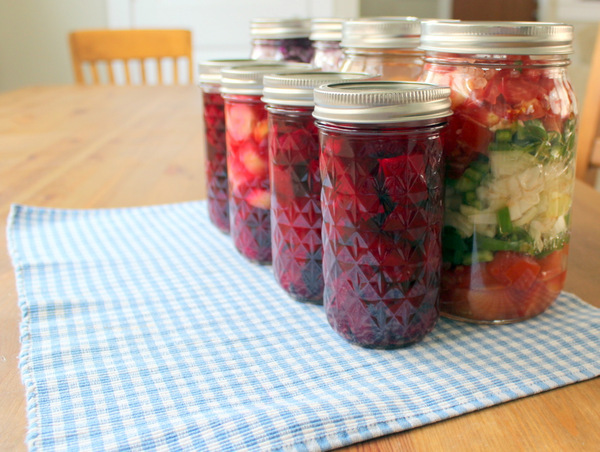 Fermented foods such as sauerkraut for probiotics to repopulate the gut with friendly bacteria. Fish oil for omega 3 fatty acids to reduce inflammation and provide brain support. Juicing for detoxification and easily absorbed nutrients. Are treats allowed on the GAPS Diet? Yes! 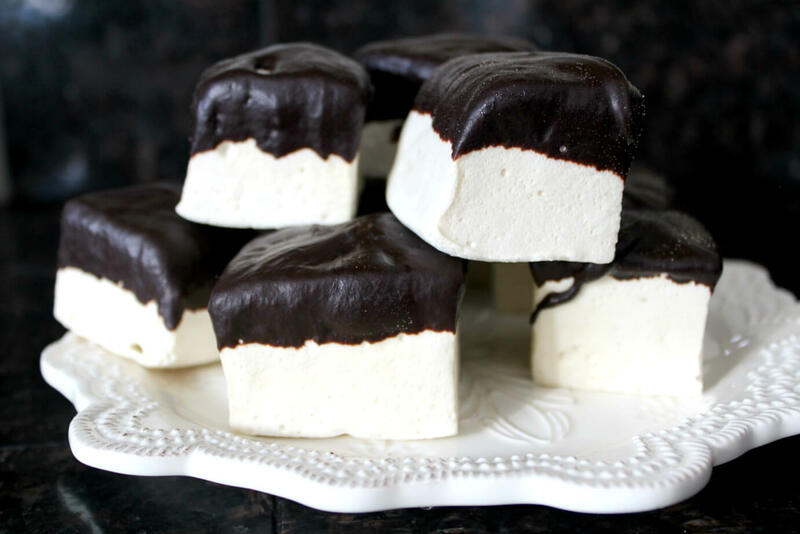 With some creativity and persistence in the kitchen, we can make fruit-sweetened desserts and even marshmallows! Between almond flour, coconut flour, honey, and date paste, there is quite a bit to work with as far as making treats goes. Still, GAPS treats, especially the baked goods, will never taste just like their wheat counterparts, but many children (and adults!) are quite content with GAPS treats. Why Are Types of Carbohydrates Limited on the GAPS Diet? Carbohydrates are limited to what is digested high in the digestive tract. This starves out overgrowth of pathogenic bacteria that cause digestive and neurological trouble. When we are born, we ‘inherit’ the microbiome of what is around us. If we are born without antibiotics and with a vaginal birth, we will take on a lot of our mother’s microbiome as we go through the birth canal. Other places we get our microbiome is from our homes, and anywhere we spend a lot of time. If the baby is not populated with good ‘gut flora’ or microbiome, there are opportunistic, or pathogenic bacteria that can also take over. The good bacteria help us digest our food, secrete enzymes needed, and even secrete feel-good chemicals through our gut into our brain. The bad bacteria do the opposite – they selfishly tell us to eat what they need to thrive (sugars and starches), and secrete chemicals that can do anything from giving us depression to cause chronic pain. Any carbohydrate more complex than a disaccharide is not allowed. This means no refined sugar, starch like potatoes or arrowroot powder, maple syrup. All grains are excluded; corn, rice, quinoa, especially wheat. Dairy that is not cultured is not allowed, and even cultured dairy is eliminated for a time for most people. In addition, GAPS allows no food additives such as MSG, artificial sugars, or food dyes, gums such as guar gum. 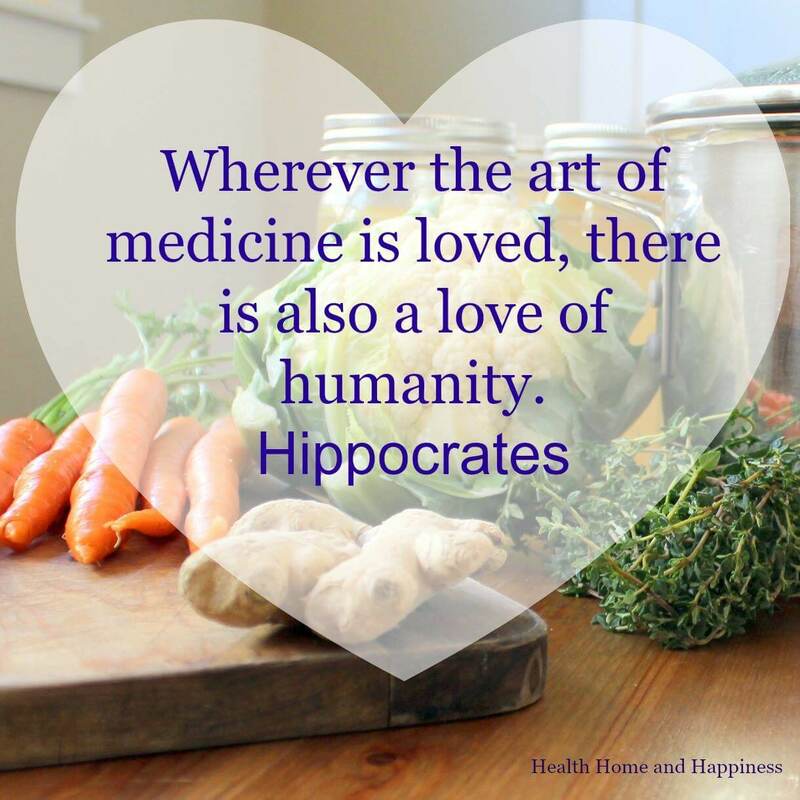 Organic foods are preferred but not mandatory to see healing. Personal care products are evaluated as well, as your skin also contains a microbiome. 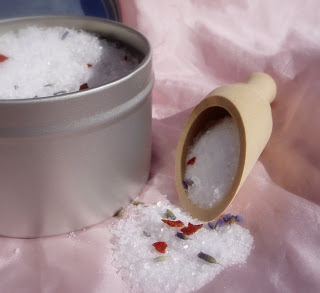 Natural alternatives to shampoo, deodorant, and other cosmetics are part of the GAPS protocol. My e-book What Can I Eat Now? walks you through all of these changes, step-by-step. Read: What Can You Eat on The GAPS Diet? 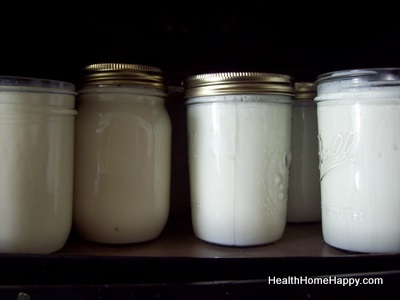 Probiotics through homemade fermented food and commercial probiotics are encouraged to re-balance the gut flora. High-powered commercial probiotics are also added, once the GAPS patient is ready for them. Adding in the probiotics is a delicate balance. The ‘good bugs’ going after the ‘bad bugs’ and rebalance the gut. During this time, though, the bad bugs die off, and when they die off they often emit a burst of toxins. This can cause what is called a ‘healing crisis’. The good news is that once they are gone, the bad flora stop sending signals to your brain to eat sugar and starches, and they stop sending signals to your brain that cause things like hives, eczema, depression, brain fog, and other mental health issues- even paranoia or mania! The GAPS diet eliminates foods that are common allergens and cause inflammation, gives the digestive tract a break. The digestive tract gets a break because GAPS only allows foods that are easy to digest. GAPS also provides very nutrient-dense foods to facilitate in tissue repair, especially of the gut, and eliminates food additives that increase the body’s toxic load so that energy is freed up to repair. Who is the GAPS Diet Good For? The GAPS Diet is best for those with significant digestive or neurological troubles that are at the point in their health that they are ready to be dedicated to a strict eating plan without compromising. GAPS is a restrictive protocol that should only be tried if less intense leaky gut treatments have failed. The GAPS diet often is done for a full family, with seemingly unrelated symptoms being cleared up all at once. Because the protocol takes lots of planning and cooking, it is recommended to put as many people in the family on the protocol at one time as possible, so you don’t have to re-do it for others later. GAPS can be done with very young children. I started my preschooler on GAPS, and I even have done it with my babies as they started solid foods. Often, children that would benefit from the GAPS diet have sensory issues, which makes them very picky eaters. As we’ve talked about above, this is due to the pathogenic bacteria hijacking the child’s digestive system and literally sending chemicals to the child’s brain ‘telling’ them what to eat. This is not a stubbornness issue, it’s a sensory issue, and GAPS works amazing on sensory issues quickly. GAPS can be done while pregnant or breastfeeding as well, though precautions should be taken to avoid subjecting the baby to too much detoxification at once. Yes! But 4-6 weeks on the introduction diet and 2 years on the full diet is recommended. Read: Life after GAPS :We’re Finally Done! This protocol has little room for error, with any accidental ingestion of not-allowed food causing a flare of symptoms and re-growth of the pathogenic bacteria that you are trying to starve out. The introduction diet is associated with detox reactions, and for some people the adjustment to eating low carb is difficult. Sometimes you have a hard time adding in foods once you take them out, and sometimes you need to add more to GAPS. But for the most part, the GAPS protocol will be very helpful for anyone raised in our modern culture. Why is GAPS so good for gut healing? The GAPS version contains a lifestyle change that includes fresh air, replacing toxic household products, and more. While it is encouraged to stay on SCD or GAPS for 2 years, many people see a dramatic difference within 6 weeks or less and do not need to remain on for the entire two years. It really is a comprehensive protocol that quickly alleviates symptoms and provides intense healing that sick people need. There is little wiggle room in the protocol, so it is hard to ‘cheat’ through loopholes. This strictness helps people to stay on track and see rapid healing and reduction in symptoms.